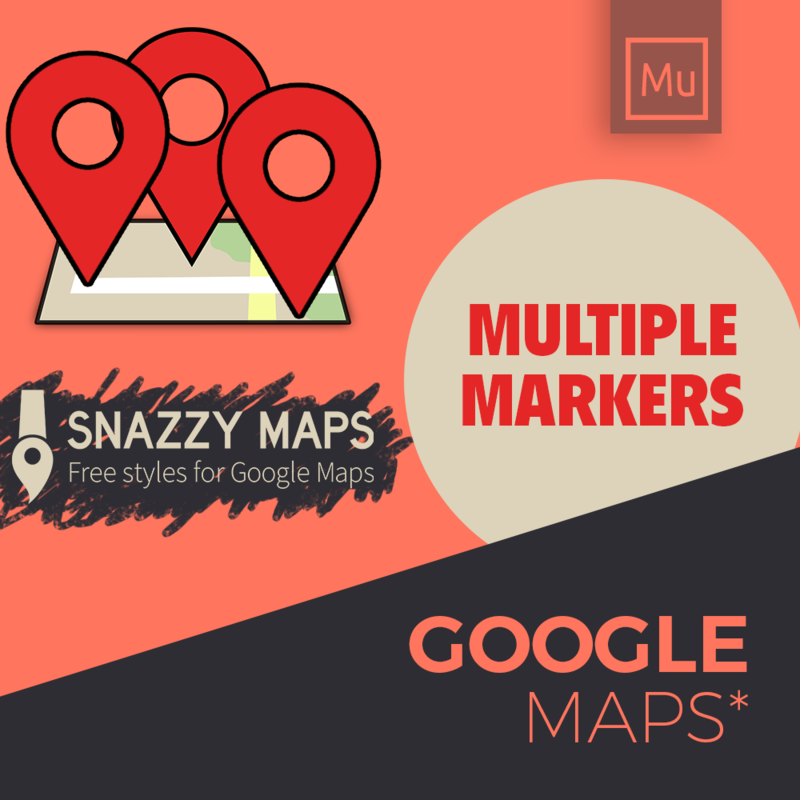 The ultimate Google Maps widget for Adobe Muse includes Snazzy Maps and have multiple markers. This adds a really stunning map in your Adobe Muse website that can be edited and customised as your liking. Just drag and drop the widget and add your locations to a single map. You can copy and paste the custom style codes from google or snazzy map to make your maps to look cool. You can also customise how the popup in the map will look like by following the simple instruction given with the widget package.